Beets are my favorite side at farm fresh or organic restaurants. I often boil beets in chicken stock and then sauté with shallots and serve with melted goat cheese for a perfect sweet and sour bite. Few months back, I tried pasta served with roasted beets and goat cheese puree, topped with roasted Golden Beets. It was super delicious. I think, this was my first introduction to golden beets (not as sweet as red beets but have a unique lite flavor) and I loved it. 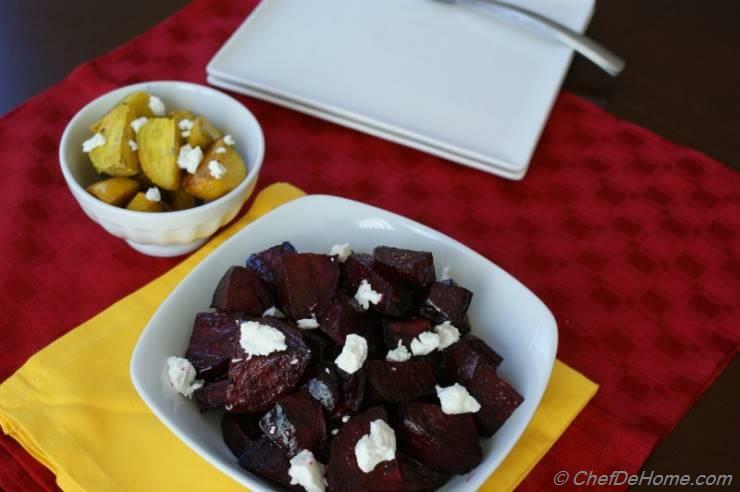 This is second recipe in farmer’s week special; I have so many late summer farm fresh veggies to share with you and today, am all about beets. 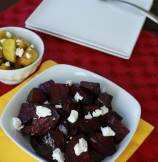 Beets are a good way to add vegetables in your families – especially kids – diet. 1. Peel - Pre heat oven at 400 F. Clean and Peel beet roots. 2. Prepare - Slice each beet into 8 wedges. 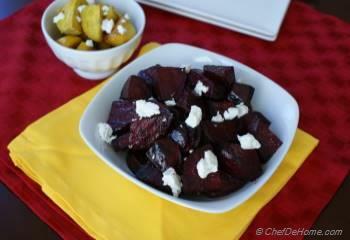 Keep smaller beets only 4 wedges per beet. 2. 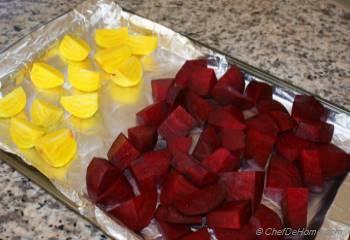 Cover a sheet with aluminum foil, place the beets on sheet. 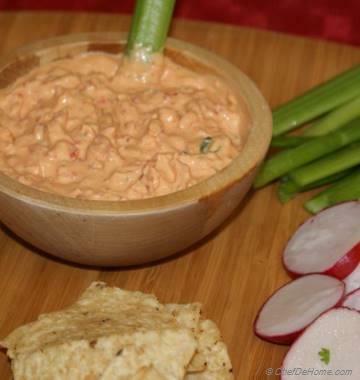 Don’t mix golden and red beets or golden beets will no longer remain golden. You can use spate sheet pans for two. 3. 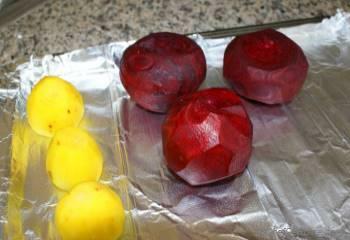 Roast - Drizzle olive oil, salt and pepper over beets and toss’em gently. 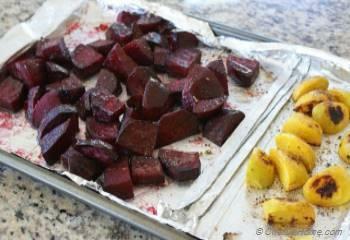 Roast in pre-heated oven for about 20 minutes or till beets are fork tender. I prefer to check the thickest cut beat with fork after 15 minutes to estimate the done time. Do not forget to rotate the tray after 10 minutes for even roasting. 4. 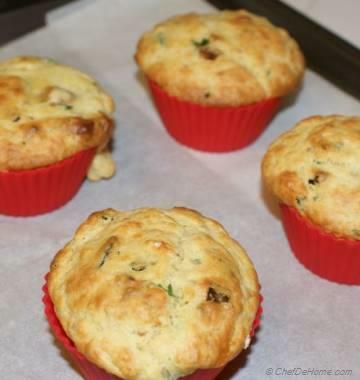 Serve - Serve warm with goat cheese crumbled on top. 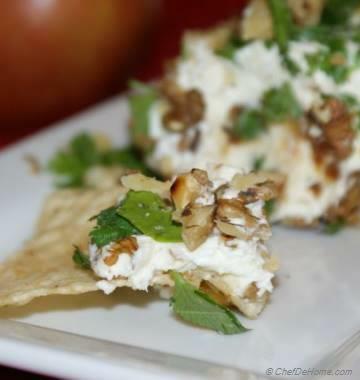 A perfect sweet, healthy and tangy side for weekend dinners.